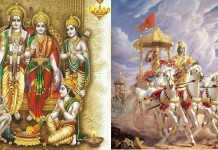 Home God Mahabharat 10 Most Unforgettable Characters of Mahabharata! In the Mahabharata, the men played the game of dice and waged wars, but it was the women, who yielded power and influence. So practically, both men and women played important roles building the story. However, there are a few characters, who have made their places in people’s heart. Be it for their positive roles or negative nature and even weird styles for that matter, some of the characters inMahabharata have become special to people. 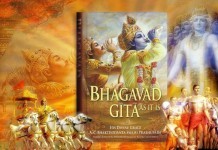 If it wasn’t for Krishna’s strategies, Pandavas could have lost the battle. 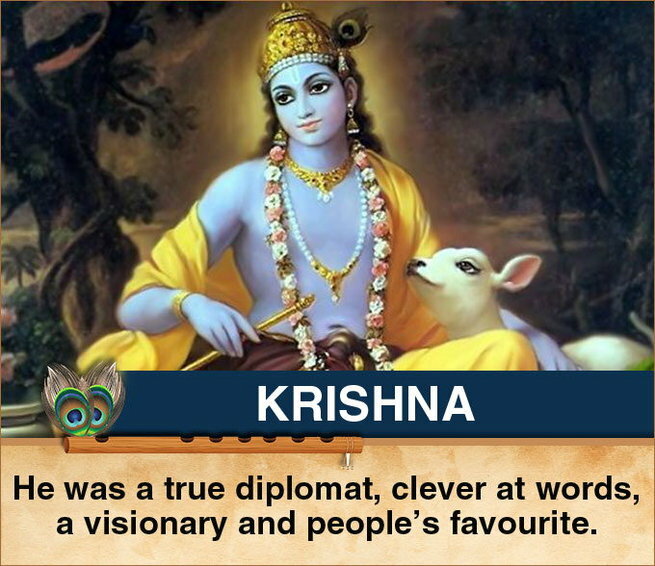 Thus, people like Krishna, as the whole story of Mahabharata revolves around him. 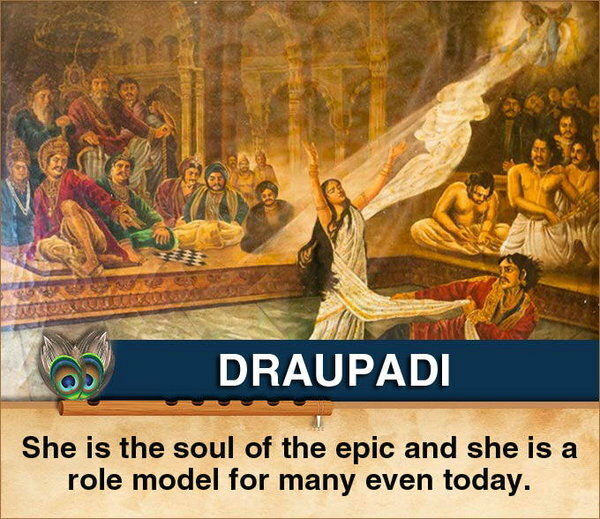 Draupadi was the strongest reason behind the epic war. It all started with the insult of womanhood in the game of dice by the Kauravas. She was beautiful, pretty, jealous, practical, hard worker and what not, but with a mission and courage to stand for truth. She made it very clear that a society, which disrespects womanhood cannot stand for long. Hence, when we think about Mahabharata, Draupadi is one character, who can never be ignored. 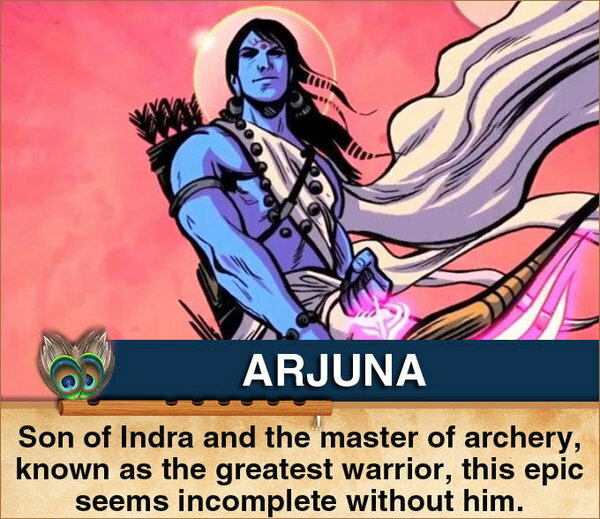 The best archer in the world, Arjuna won himself a bride by his archery, and conquered many a kingdom. He single handedly defeated Drupada. 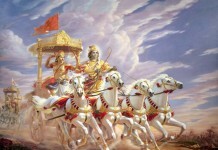 People like Arjuna more than any other Pandava brother and often relate to him. 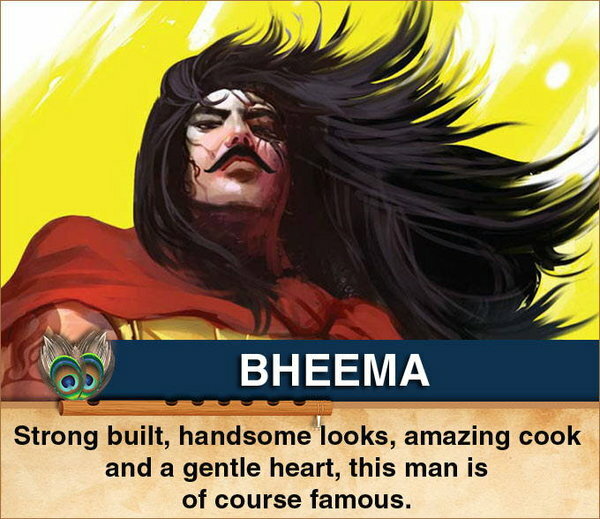 People admire Bheema, especially women. He is a man close to every heart in terms of material desire and human emotions. He loved to eat. He was also known for his short tempered nature. He was angry at the Kauravas in the dice game for insulting his wife and promised to kill every one of the Kauravas and stuck to his promise. 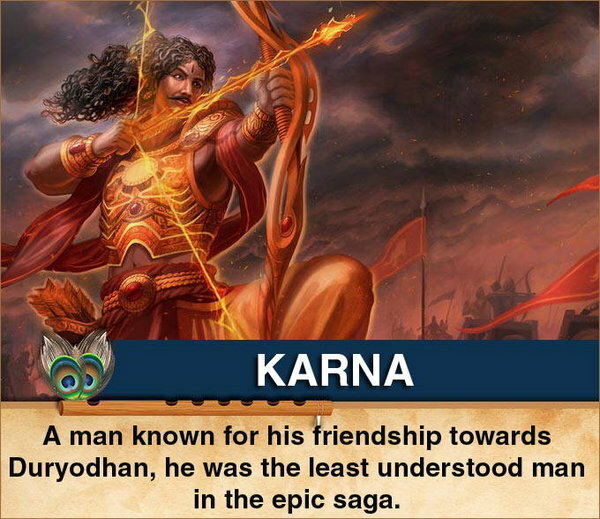 Karna did not know his lineage, but had the skills and talent of a ‘Kshyatriya’ (warrior). He never cared about his personal needs when it came to generosity. He was one of the greatest warriors who ever lived, but never got his due. The just and principled warrior who charmed everyone with his ability and intelligence. He infact is the true unsung hero. His cunning ways and shrewdness made people dislike him so much, that this epic to them would be useless without him. He was the smartest player in the story after Krishna. 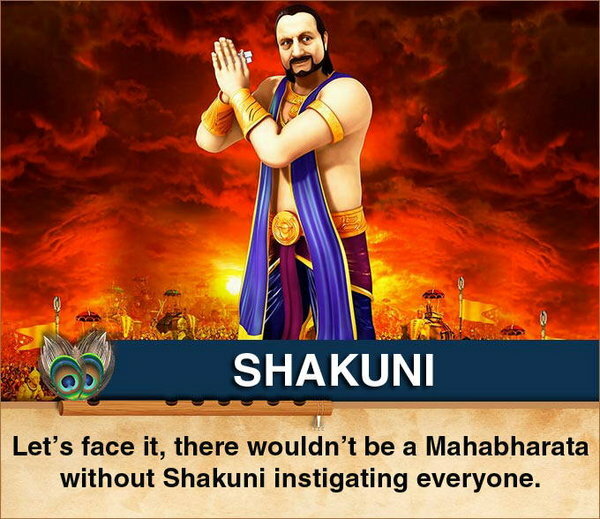 Infact, Krishna never underestimated Shakuni’s might. He applauded Shakuni’s clever ideas and just wished that it was used in right direction, which never happened. 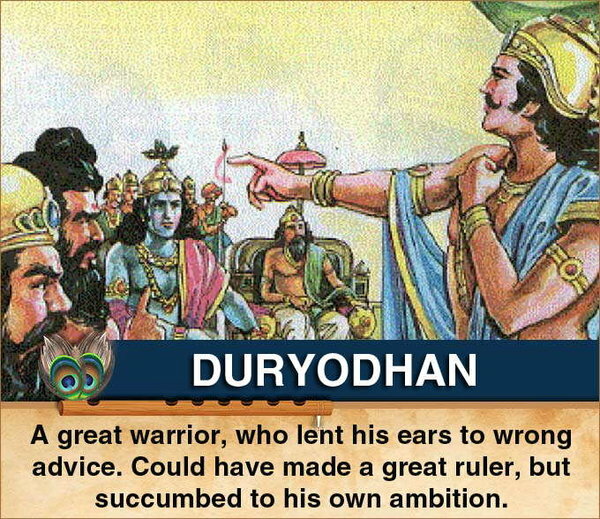 Duryodhan was capable, fair, strong and a brilliant warrior. He was kind to all his brothers and friends. He also attained heaven. However, he considered himself to be the legitimate heir to the throne as his father Dhritrashtra was the elder brother of the clan and hence, fought his brothers to fulfill his ambition. Supporting his son Duryodhan blindly, ignoring the realities, which led to the war wherein ultimately Dhritrashtra lost all his say. A perfect example of an ostrich approach: burying reason and acting in favour of the unreasonable. 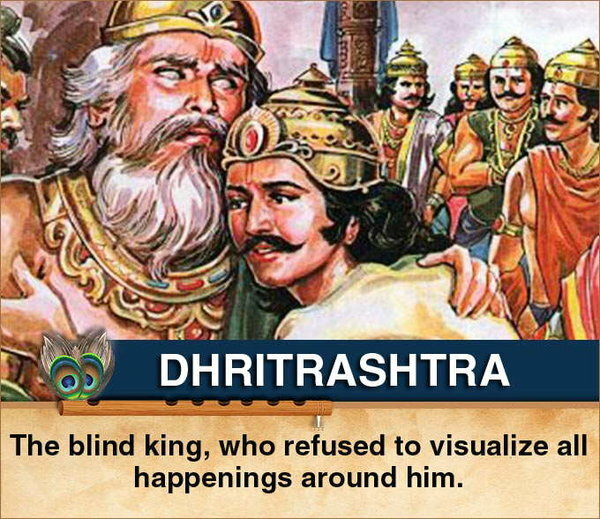 May be women won’t follow her path nowadays, but her character was quite interesting as she sacrificed her vision by covering her eyes for her husband Dhritharashtra, who was blind. Devavrat took the strongest ever vow of never marrying and following celibacy, thereby allowing Satyavati’s children to have claim on the throne. 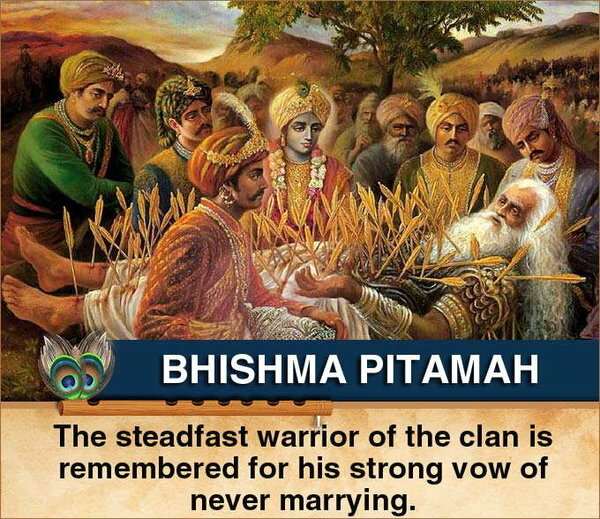 Because of such strong vows he got his name ‘Bhishma’. He was given a boon by his father to choose the time of his own death.